In 2014, thanks to the efforts of Kitsap County, partners and volunteers, the Kitsap Peninsula Water Trails was officially designated by the U.S. Department of the Interior to be part of the National Water Trails System. 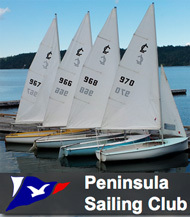 Today, the Kitsap Peninsula is a major destination for all types of water-related activities — boating, scuba-diving, fishing and leisurely strolls along pubic piers and beaches. NEW: The KPNWT now has its own website at kitsappeninsulawatertrails.com, which includes a new Interactive Access Point Map. NEW! There is now a dedicated website for the Kitsap Peninsula National Water Trails, including a new Interactive Access Point Map. 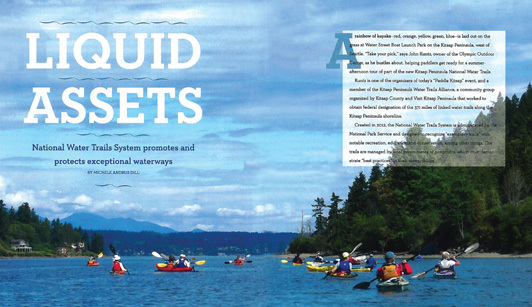 Check out new, expanded print-version of the Kitsap Peninsula National Water Trails map! Click to view or download a PFD of the print version of the KPNWT map that is currently in the process of being of expanded to include new access points around the Kitsap Peninsula. The mission of the Kitsap Peninsula National Water Trails Alliance (KPNWT) is to collaborate with stakeholders throughout the region to maintain, grow, monitor and promote the KPNWT for the enjoyment of residents and visitors. Click here for more information about the KPNWT Alliance.